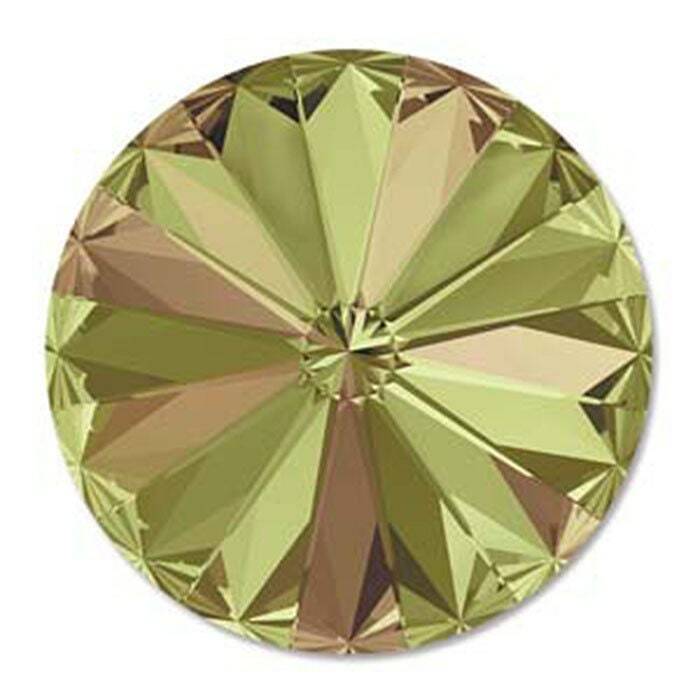 Swarovski Elements Crystal Luminous Greenfield 14mm faceted crystal foiled rivoli. This rivoli features a clear Swarovski Crystal coated with the transparent luminous greenfield coating and has a foil backing. Rivoli rhinestones have no holes and have a single-sided opaque lacquer or foiled back side effect that creates intense reflectivity. Pointed top and bottom adds increased depth and sparkle.